It’s been 8 months since I’ve worn another pair of shoes (besides when I play basketball). When I decided to get the Allbirds, I donated every other pair that I owned. What I love most about the Allbirds is their simple look, but yet how different they are compared to every other shoe in a room. They’re made out of wool, so they’re extremely comfortable, and since I planned on wearing them every day as my only shoe, I tested them in every situation: I tried playing basketball with them, but with no support, I might as well have played in slippers. I went hiking with them, but had zero traction. I ran with them, and they were the best running shoes I’ve ever used (comfortable and snug). I wore them with basketball shorts, when I was relaxing, and they looked great. I wore them with jeans and tees, and they looked great. For 8 months straight, they were basically the only shoe I needed. And since they’re made out of wool, if they happened to get dirty, I’d simply throw them in the washer and they looked brand new again. But the coolest thing about the shoes is that if you combined all the complements I’ve ever received for any shoe in my life, it still wouldn’t add up to the amount given to the Allbirds. It was almost daily, someone would be shocked when they’d look down and see them, they’d say how much they loved them, and then ask me what kind of shoe they were. I tried my best not to tell anyone (because I wanted to write about them first and because they felt like my little secret—an amazing show that nobody else ever seen before). It wasn’t until about the 7th month of wearing them every day that I started not wanting to put them on. Not because I didn’t love them, but because I wore them too much, and their shape had become flat, and they started showing their age. That’s when I knew it was time to order another pair. I’m sure if a normal person, who wasn’t wearing the same shoe constantly, and actually gives one pair a break every few days, the life of them could’ve easily doubled—but I intentionally put them to the test. 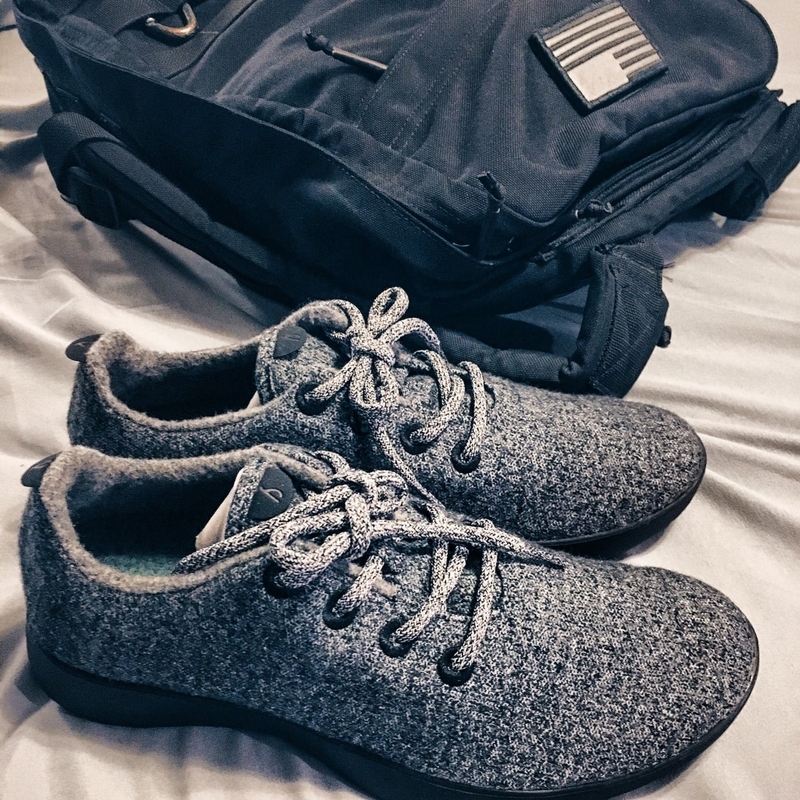 From the second I saw a picture of them, and read their story, the Allbirds felt like a pair of shoes and a brand that I would always want going forward, so I needed to know their durability. Needless to say, I’m very satisfied with the results—and I still want them to be my only pair of shoes that I own. Minimalism with style. I just ordered my second pair, and I plan on donating my older pair as soon as the new ones arrive (size 9). Even though they’re not flawless like a brand new pair, in my opinion, they’ll still look cooler than any other shoe in your closet.